Any clue when the results are gonna be out? They usually release them around 9:00 AM EST - but maybe it’s changed. Last year the results were released on Tuesday, January 23rd so it will most likely be next week Tuesday. when this year’s results are released. Did anyone receive that email they send announcing the exact date to expect results. I thought they send an email 3 weeks prior to inform about the results date. received an email today from CFA Institute stating that results will be emailed next wednesday - I assume they will be available online on Tuesday. They will be available online next Wednesday. Why they would be online before? My understanding is that results have historically always been published on a Tuesday - I could be wrong. are the results available online today (Tuesday)? I’ve been refreshing the page but no results…. at level 3 if you were able to register it would mean you failed but since this is L1 you would still be eiligible to register pass or fail because there’s another exam after this one. I don’t think there are any definitive signs - just wishful thinking. We’ll know soon enough. ahah same here ! But just try to enjoy your day, the day will be shorter! The day is so long!! 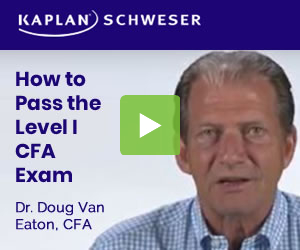 Can you guys check what does it say on your CFA program page now. Now my page shows ‘You are not currently registered for an upcoming exam’. I’m a bit worried. According to the CFA Institute, the result will be released at 0900 hrs Eastern Time. The time at which people will receive their result will vary. Passed. Greatest feeling in the world. Passed, slightly above the MPS but a pass is a pass. Bombed FRA and Econ, so got to turn those around for level 2! Passed - Congrats everyone. And to those that weren’t successful, nothing can stop you if except you! Don’t give up!